“The grass is greener over there” - We have all thought it once or twice; maybe it was about someone we were dating, our jobs, our cars or maybe we have done it with our own apartments. This can make life difficult for those of us responsible for getting current residents to re-sign/renew their existing lease at our community. For property managers in Denver and the surrounding area, the “what’s new must be better” phenomenon is amplified to the maximum. In 2018 12,000 new apartments are entering lease-up in the metro Denver area. Here are 10 techniques you can implement starting today to help better increase your chances of keep all your residents when their leases come up for renewal. This summer I had the pleasure of meeting Peter Bowling Managing Director of the One & Only Palmilla luxury resort. Peter’s secret weapon in competing with the thousands of other ultra-luxury resorts of the world is his people. When you are on-property at the One & Only you feel like you are in another world, almost like you have died and gone to heaven. The most powerful way Peter achieved this was by making a “signature greeting” that everyone working on property must embrace. As any employee greets, sees, walks past or is in the presence of a guest or fellow associate, they make eye contact, smile and briefly place their hand on their heart. Now imagine the impact this would have on your residents? Do you know how hard it is to get a smile in 2018? We all want to feel welcome, recognized and loved, it’s worth more than all the roof-top pools in Denver combined. Create a “signature greeting” and enforce it 100%, make it your culture and you will find that your residents will never leave. They want their smile and recognition when they come home each day. A person’s name is the greatest connection to their own identity and individuality. Some might say it is the most important word in the world to that person. Make it a goal that your staff learn every resident's name. Suppose you start working at a new property. What can you do to learn and remember all the residents’ names? Set goals for how many people you will meet each day to learn their names. When someone tells you their name, listen and repeat it back to them. Repeating their name in every situation helps you to remember it. If you forget a name, you can also go up to them and reintroduce yourself since they will generally repeat their name once you have said yours. about their rent, perhaps you are not showing enough value. Your margins are already tight enough and the last thing you want to do is engage in price wars with the new construction down the street. Using price as your selling point is an indication that you need to get back to developing what makes your property unique in the metro area. For every market, neighborhood and property type, there is only one community that's the cheapest. While your current residents may shop the lowest rent, it is value that they really want. When value exceeds rent, rent is no longer the issue. If your property staff is rude or condescending, even once, you will not keep your residents. This is the most overlooked reason for resident turnover. In fact, 42% of renters will go elsewhere over a rude property staff. I’m not just talking about leasing agents, everyone on property has the potential to have contact with prospects and residents and be rude and condescending. Example: Someone comes to the property and the on-site staff doesn’t even say a simple “hello”. Can you imagine going to a party, walking in and nobody even acknowledges that you’re there? That would be rude. A lot of people don’t realize they are condescending - maybe because there’s no awareness of your obligation to provide customer service to residents and prospects. Have you ever said any of the following? “It says it right there in your lease agreement” “Did you see the package pickup policy? You can’t afford to lose prospects and residents over rudeness and condescending attitudes. This kind of communication should never be allowed. Many property managers overlook the fact that residents may leave the community because of something as simple as their apartment being dirty. Find a way to give them that “new car smell” without having to move from the community. Offer to have a professional cleaning company come in if the sign the renewal. Can you have the unit painted while they are at work? Can you have the carpets cleaned for them. Communicate with your residents, sometimes simply cleaning the carpets or touching up the paint is all they need to stay another year in the unit. When you are being of service to a resident, you must be positive. Having a great attitude is a prerequisite to property management. The only reason someone will renew their lease if you don’t have a great attitude is for a lower rent. You need service in your heart. Dress professional and carry yourself like a winner. Make your community a no negativity zone. Treat everyone with a great attitude. Go out of your way to help somebody else. It feels good to contribute. Find ways to say no positively. Most people say things like, “I can’t do that”, “It’s impossible,” etc. but how can you make these statement more positive? We see this phenomenon repeatedly at Multifamily Traffic; once we make a community the #1 property on Google in its market, not only does traffic increase ten times and they sign ten times more leases but current residents become ten times less likely to move. Apple phones have problems and the competitors like Samsung and Google have features that iPhones don’t have, so why do they have such loyal customers. A big part of the loyalty comes from the fact that Apple dominates the market. It is hard to switch phone brands when you see a line of people wrapped around the sidewalk just to be the first to get the new iPhone. By placing your community at the top of Google search not only will you explode your demand from prospects, but you will send a message to current residents that this is “the place to live” and they made the right choice. I love it when people call in or walk in and want to speak with executives. I would rather waste time with a potential customer even if they have an issue than waste time by myself. “I want to speak to the property manager” is an opportunity. 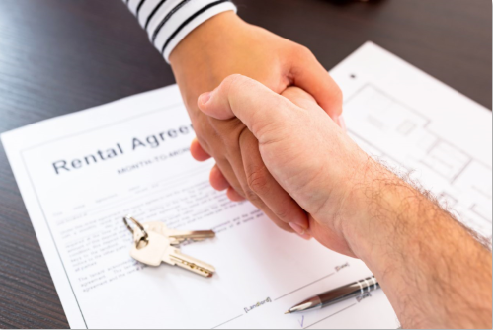 There are 3 possibilities when someone asks for the property manager: they are a vendor, they have a complaint, or they are looking to rent an apartment. Vendors can be made into residents, complaints can be made in lease-renewals. Tell your staff to always help someone that wants to see the manager right there on the spot. Don’t worry about offending them. Their budget is your business. If you’re going to blow the renewal of that lease, do it because you know what you’re doing. Ask questions you need to be answered. The only thing worse than not getting answers from residents is not even asking them questions. The final tip I want to give is to accept the situation you are in. You will not see a massive improvement until you and your team become fully aware of the amount of change that has occurred in the Denver apartment market and are prepared to let go of the past and move into the future. • Are you no longer concerned with who is to blame but rather what you need to do? • Do you believe that no one is going to come in and save the day at your community? • Are you disappointed in the results from the actions you’ve taken and ready to try new things? 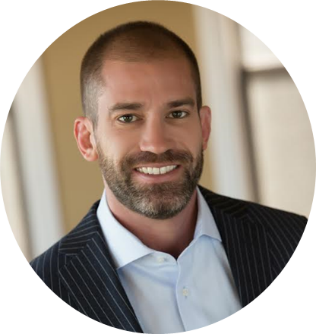 Matt Easton is Executive Vice President at MultiFamily Traffic. Since 2007, MultiFamily Traffic has helped hundreds of apartment communities do billions in additional revenue. MultiFamily Traffic brings more traffic and more leases, with less effort and less expense on the part of marketing department.